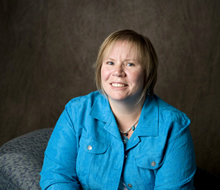 Dr. Deb Cameron, PhD, is an Adjunct Professor and International Fieldwork Coordinator in the Department of Occupational Science and Occupational Therapy at the University of Toronto, as well as an executive member and Education Lead in the International Centre for Disability and Rehabilitation (ICDR). Her clinical work in paediatrics has led her to focus part of her research on parent involvement in intervention approaches, the application of one specific approach (Cognitive Orientation to daily Occupational Performance, or CO-OP) with children with cerebral palsy, as well as studies related to youth with IDD and inclusion. Her roles working with students on international placements and in global health through ICDR have led to research focused on reflexivity, partnership development, and placement preparation.